This statistic represents how many people in Catalonia believe that the best way for finding out what the Catalan people want for their political future is through a referendum, according to a survey carried out in May 2014. 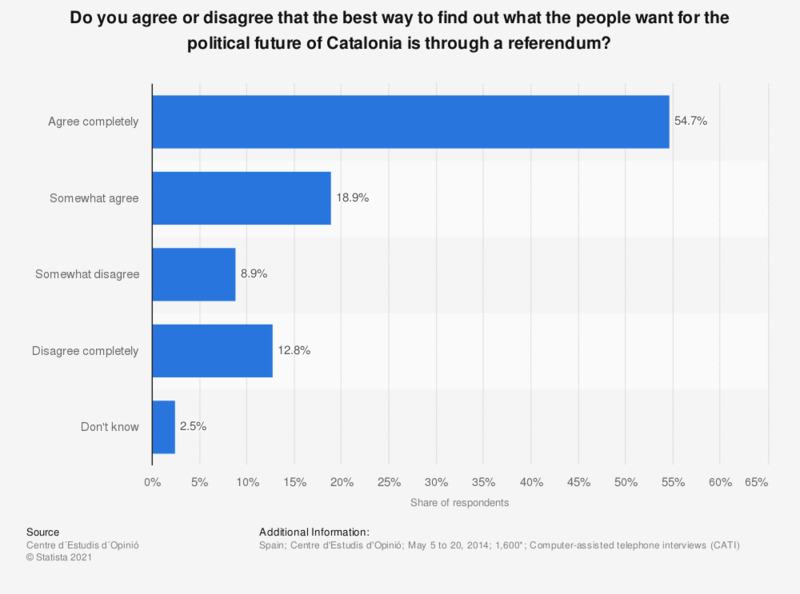 A clear majority were in favor of carrying out a referendum, although this does not mean that all of these respondents were in favor of Catalonia becoming independent. Around 20 percent did not think that a referendum was the best way of determining the will of the Catalan people. Statistics on "Catalan election 2015 in Spain"
Do you think that Artur Mas has been a good president of the Generalitat? Do you agree or disagree that Central Government allows the celebration of the Catalan self-determination referendum planned on October 1st, 2017?